Haute cuisine has its trends, but it is always the simple food that stands the test of time. Usually, the simpler the dish the fewer places to hide — that is, complexity can be used to cover up imperfection. When you're making eggs, you don't have that option. Fortunately, when making eggs on an OFYR, you don't need it. To add a dash of excitement to the morning after the night before, invite your guests into the head-clearing freshness of the garden, equip them with tangy Bloody Marys, and blow them away with the classic they've never seen. Cut the vegetables into thick slices, removing the seeds from the bell peppers and the soft portion from the zucchini. Bake the vegetables on both sides with a little oil, seasoning with salt and pepper. 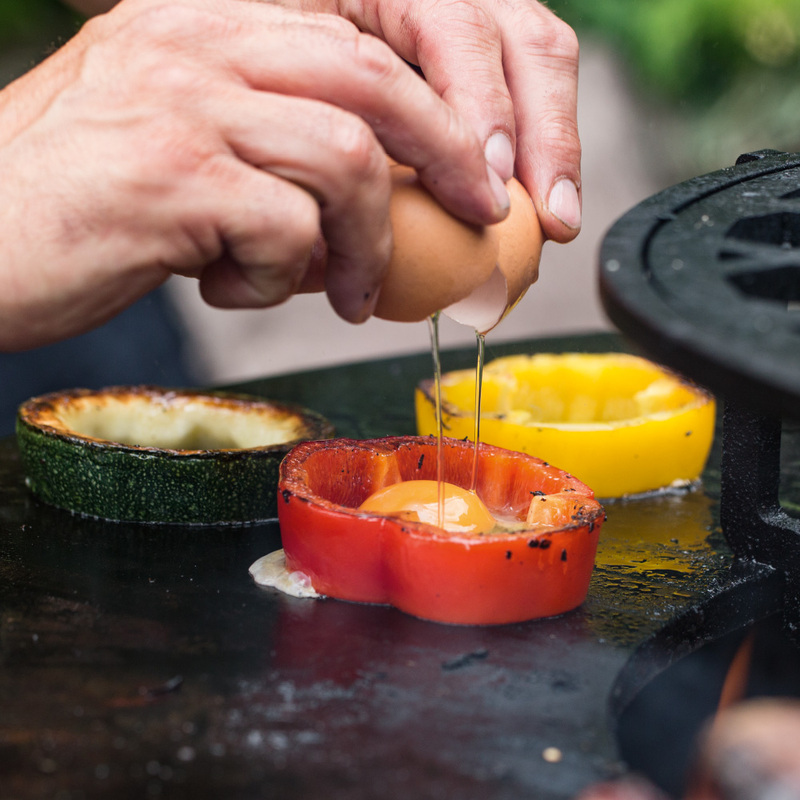 Break each egg into an individual vegetable ring on a medium heated cooking plate until the egg whites are solidified. Serve the eggs and baked vegetable slices with a slice of fresh bread for a delicious brunch.